Today I have a few simple holiday table centerpiece ideas for you. You can create a great centerpiece without setting up an elaborate tablescape! Have a small space? Make a centerpiece on your coffee table if you don’t have a large dining table. Use things that you already have to a create unique and beautiful centerpiece that will pop! A cake stand makes a perfect base for a centerpiece! It’s a great way to decorate without sacrificing a lot of table space. I used tall vases, filled with natural cotton, to give the centerpiece even more height. Grab a pretty tray, plate, or platter. Gather extra candles and arrange them on your tray. 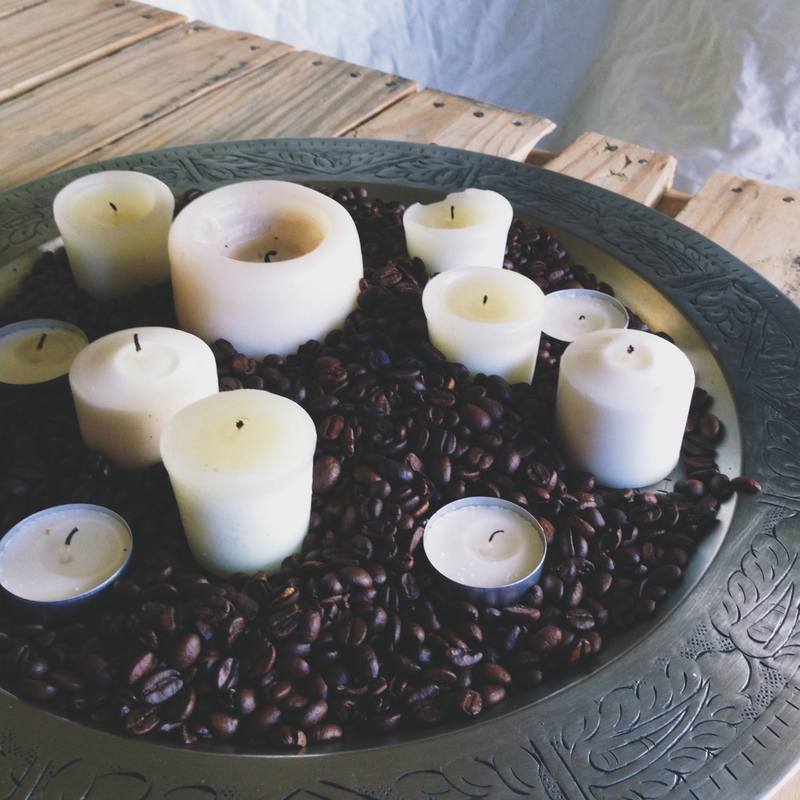 Coffee beans are a great filler to use with candles! Simply pour them around your candle arrangement. 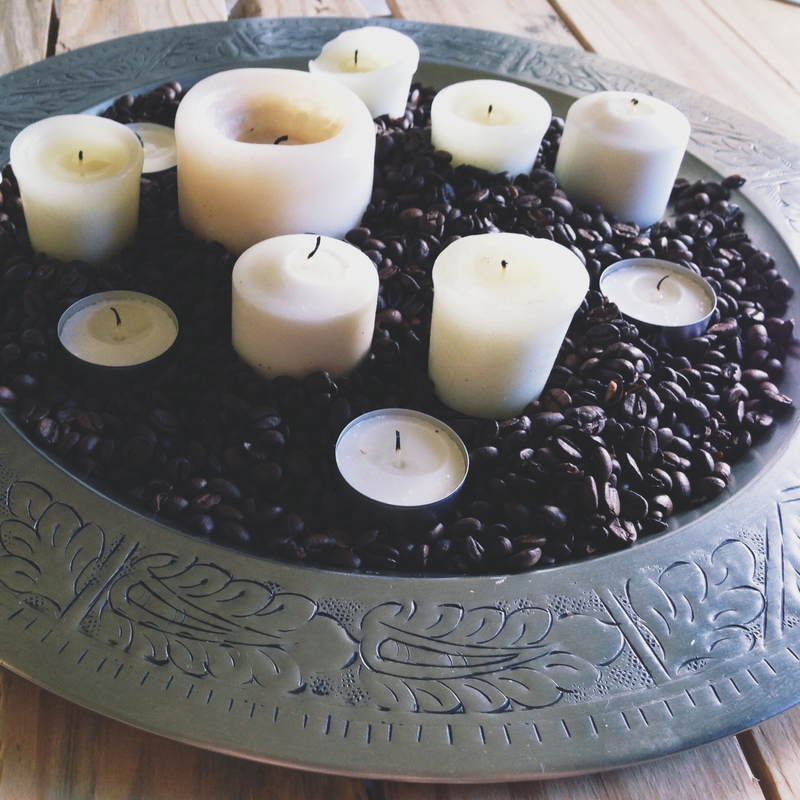 Coffee beans put off an amazing scent as they’re heated by the warmth of burning candles! 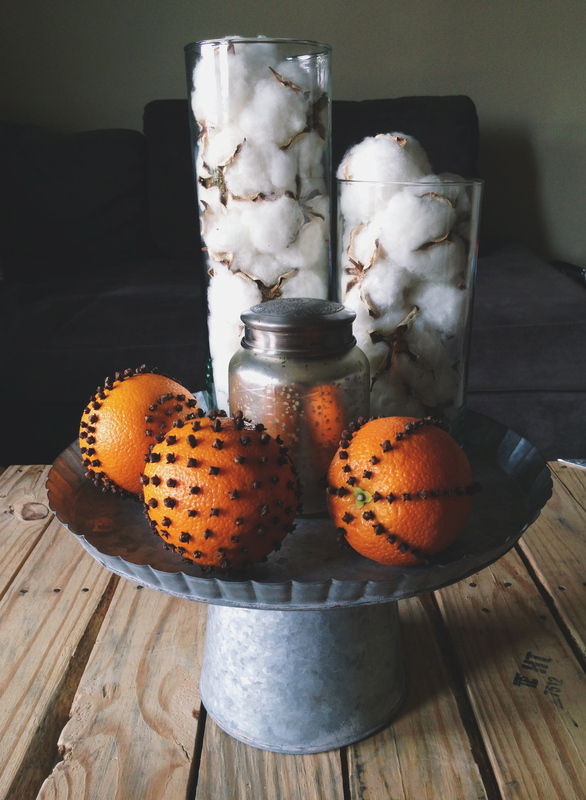 I love using natural items like coffee beans, cotton, and orange clove pomanders for Autumn and Winter decorating! What do you like to add to your table centerpieces? You can also check out my Modern Paint Dipped Pumpkin and Natural Cotton Wreath projects! I’ve never thought of (much less heard of!) decorating with cotton. That’s such a good idea!!! I got the idea from Pinterest, I’m definitely a little bit obsessed with it this year!